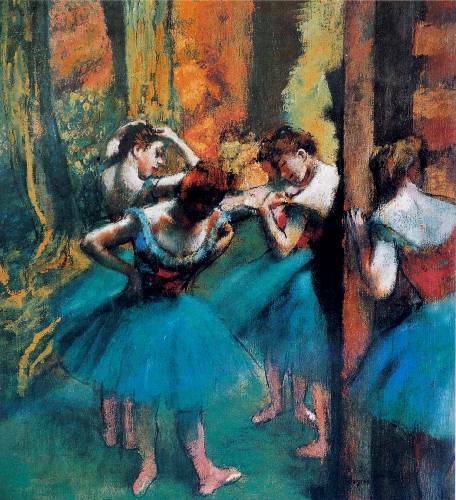 I have always loved this quote from the great Edgar Degas. It has meaning on a couple of different levels for me. First, it speak to the sheer difficulty of the process of creating a painting. If you look at it as a purely mechanical process– step 1, step 2, step 3 and you’re done— it does seem exceedingly simple. But art is not purely craft. There is an intangible element that gives it meaning for both the maker and those who take it in after it is made. Tapping into that intangible is the difficult part. Some days it is near impossible and makes what is seen as a pretty easy job most difficult. 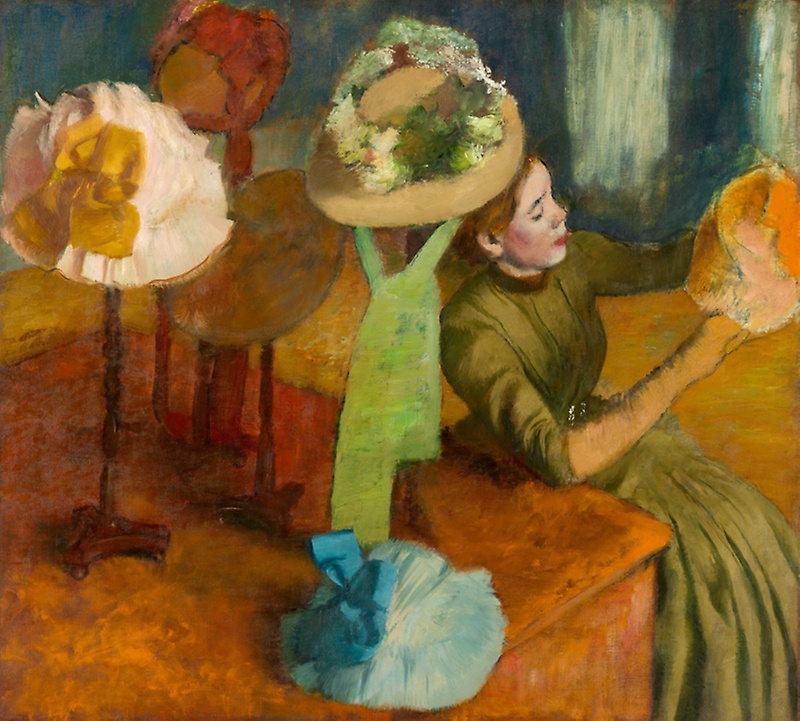 The second meaning I get from Degas’ quote is how others view this job. I know folks who can only view art as a hobby and if you’re working as an artist, you’re just fooling around with doodles and such. They often don’t see it as work at all. They don’t understand the effort that is required to have a career as an artist. The long hours alone. The sacrifices you make to be able to have enough time. The often sheer frustration that comes in creating work. The many hours spent doing unseen and boring things like framing and varnishing that are required to make the work presentable. The agony of having to constantly self-promote in order to keep your name out in the public eye. The pain of having your work– your creation and your voice— ignored, outright rejected or under-valued, not to mention the self-doubt that comes along with these things. I am sure there are a bunch of other crappy things that are just slipping my mind at the moment. This isn’t a whine fest. Every business has its own challenges and I am sure anyone who is self-employed can see their own situation in many of these things. I understand and accept these pitfalls. They don’t detract from my view of this career at all. I just want people to understand that an artist’s life is not unlike their own with most of the same challenges and problems. It may seem easy, even romantic, but that is just the view from far outside. That being said, I wouldn’t trade this job for any other. Thanks for allowing me to think that.